The guides are the best! At least that is what our guests tell us in all sincerity. We have a great team of guides mostly from all over Mexico (aside from our Canadian token) as well of course as our local experts. 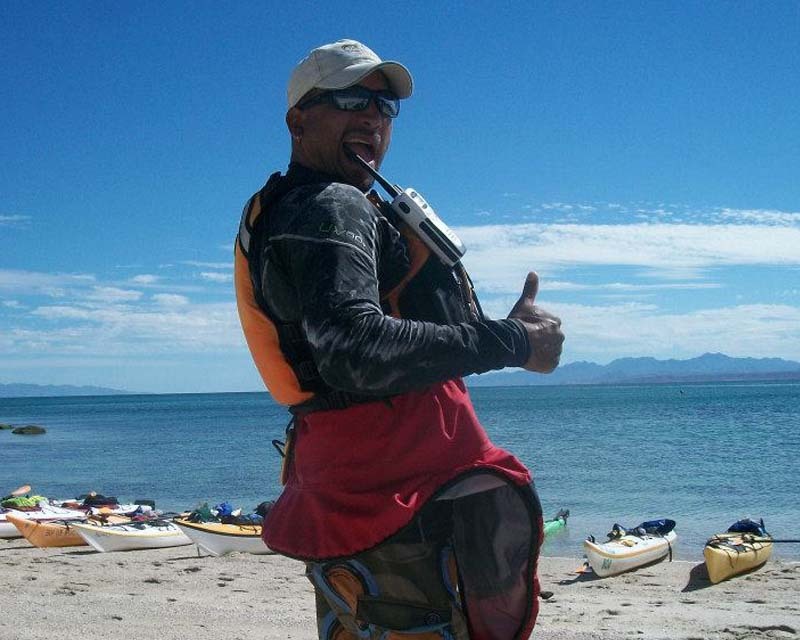 They are all bilingual and have an extensive knowledge of Baja and its extraordinary natural history. Besides taking an enthusiastic delight in sharing their knowledge, they are genuinely wonderful, caring and intelligent people to share your vacation with. The BOA super pangas (motor boats) are masterly skippered by local fishermen, Edgar, Yasir y Gabriel. They are the back-bone to the BOA team. Always cheerful and their amazing boat handling skills give evidence to a lifetime on the sea. On our fully catered trips you will be delighted with fine dining as they turnout incredible feasts each day often catching and serving up 'gifts from the sea'. Many guests wish to return just for the food and seek out our secret recipes! Meanwhile, in the office you will find our bi-lingual staff Ceci and Sofia ready to answer your emails or telephone inquiries, to take care of your hotel reservations and to ensure each and every trip is prepared right down to the finest detail. Cecilia was born and raised in La Paz. Her parents are both ocean skippers so naturally they enthused Cecy with a love and respect for the Sea of Cortez and its enormously diverse underwater world. She began her career working directly for the association of hotels and tourism in La Paz. She then turned to BOA to enjoy meeting and assisting directly with international travelers. Cecy is the face behind your email correspondence and she is also in charge of developing the BOA social network so if you want to share some photos, Cecy is the one to contact! Sofia Pacheco grew up in Valle de Bravo, a lovely colonial town in the center of Mexico situated on the shores of a lake well known for its water sports. 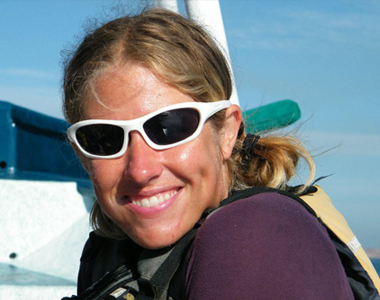 Her mother enjoyed kayaking whilst her father became an early pioneer by introducing windsurfing on the lake. Naturally Sofia developed a strong connection with aquatic sports and at the age of 19 she relocated to La Paz. 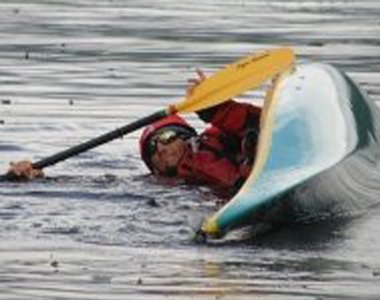 Here she studied a university degree in Alternative Tourism which enabled her to fullfil a passion for being on the water. She also quickly discovered the under-water world as a certified diver. Following a job as a dive master she went on to manage a commercial boat cleaning business before finally joining the BOA team in 2017. Sofia will be one of your first points of contact in the BOA office. 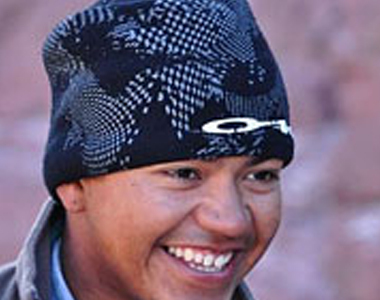 Antonio grew up on the shores of the Sea of Cortez in the fishing port of Guaymas, Sonora. He comes from a family of fishermen and inherited a great passion for the ocean and nature. 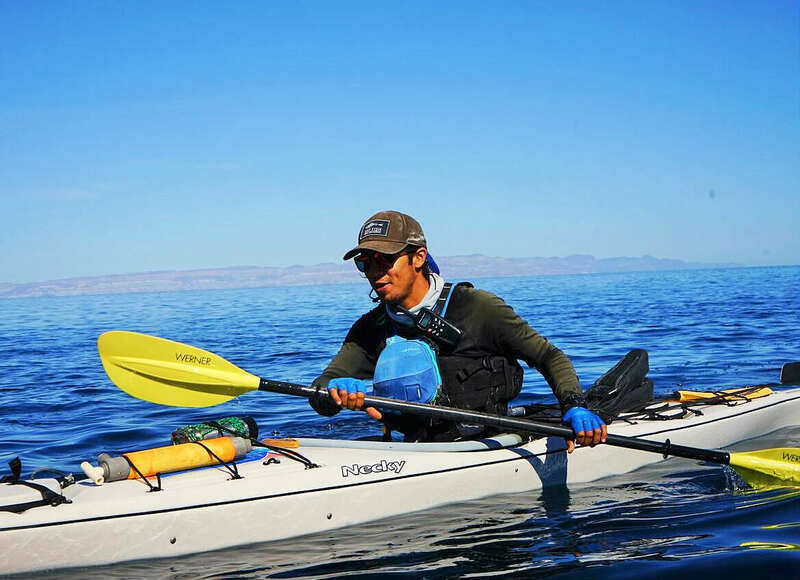 He began sea-kayaking in 2009 and after years of exploring the coastal waters of the Gulf of California, he moved to La Paz where he graduated from university with a degree in Marine Biology. 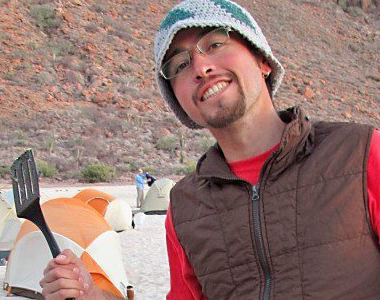 His interest for coastal and desert ecosystem has only grown with time and he takes great pleasure sharing his knowledge of the natural history in Baja.